September 2015 included a visit to Las Vegas for IT/DEV Connections, a conference that I value greatly because of the quality of the speakers, the content, and the audience. One of the things that happened this year is that the agenda emphasized the holistic nature of Office 365. By this I mean that we tried to stay away from “Exchange” or “SharePoint” sessions and put a huge value on sessions that addressed Office 365 as a whole rather than as a loose set of applications. Too many conferences that purport to cover Office 365 remain very SharePoint-centric, which is fine in its own way, but you have to remember that moving SharePoint workload to the cloud is often quite difficult, so it’s generally not the first workload to migrate. In any case, I look forward to next year’s event, which will take place in the ARIA Hotel on Sept 19-22. Here’s what happened in my Exchange Unwashed blog during September 2015. Office 365 Groups, transport rules, and network tweaks (Sept.30): This post covers a pretty bad bug in Office 365 Groups in that transport rules are ignored when posting to a group conversation. Microsoft is fixing the issue, but they were lucky that this bug was reported before large companies started to use Office 365 Groups in earnest. 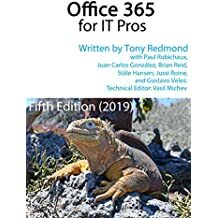 Also in the post I cover the relaunch of the Exchange Exposed Podcast, the launch of the 2nd edition of “Office 365 for Exchange Professionals“, the availability of ExpressRoute for Office 365, and a nice DNS tip from Priasoft. New APIs make Office 365 monitoring easier (Sept. 24) Because the overall SLA for Office 365 means nothing in terms of what happens for an individual tenant, some other method is required to allow tenants know what’s really going on. Fortunately, Microsoft has made some nice APIs available that are now being used by ISVs to create products to do just that. Outlook (Office 365) Groups app appears for mobile devices (Sept. 22) Office 365 Groups are a pretty nice way to enable collaboration, but they have suffered due to the lack of any mobile apps. Now we have three: Windows Phone, iOS, and Android. But they’re called Outlook Groups to confuse and bemuse. Or, as the marketing people say, to reinforce brand awareness. Quite. All the Exchange news from IT/DEV Connections 2015 (Sept. 17) A wrap-up post to let those who couldn’t get to the IT/DEV Connections conference know some of what happened at the event. We can’t tell everything because that would be too embarrassing for some! Updates lay the foundation for the launch of Exchange 2016 (Sept. 15) The world and its mother should know by now that Exchange 2016 is due very shortly. Very, very shortly. So it should be no surprise that Microsoft launched Exchange 2013 CU10 and Exchange 2010 SP3 RU11 to co-exist with the new software. But only when Exchange 2016 is released. Soon. Very soon. Office 2016 – great for Office 365 but not so good for on-premises customers (Sept. 15) This post disappointed some of my friends at Microsoft and some of their PR people too. I wasn’t negative about Office 2016, which I like, but I did think it worthwhile to point out that on-premises customers won’t gain any value from the snazzy bits that are included in the new release. So I did. The acceleration of cloud email (Sept. 10) It’s really hard to get firm numbers about the number of cloud-based mailboxes, so a company called Bitglass started to monitor network connections across the Internet to see if they could make sense of what’s happening. We still don’t know exactly, but we can say that there’s lots more cloud-based email today than there was in 2014. Anyone want to bet that there won’t be more in 2016? Do other options exist if you don’t like Office Delve? (Sept. 7) Delve gets a lot of good press, which is due because it is a nice application. But it’s limited insofar as Delve can only use Microsoft data (apps that run inside Office 365 and some data from hybrid deployments) to do its stuff. Other applications exist that do much the same (maybe less pretty) but with more sources of data. So they might be worthwhile checking out. Father of PowerShell promoted to Microsoft Technical Fellow (Sept. 3) This was the most popular post of the month as it reported that Jeffrey Snover, the person most responsible for driving PowerShell and automation into pretty well everything Microsoft currently does for Windows servers, was promoted to Technical Fellow. It’s well earned. Basic features in Exchange Online undermine case for third-party backups (Sept. 1) While I am not saying that third-party backups are useless for Exchange Online, I do make the case that you should exploit the native features and extract maximum advantage from the software before you rush to spend money on extra products. See what you think. This entry was posted in Cloud, Email, Exchange, Office 365, Outlook, SharePoint, Technology and tagged Exchange 2010 SP3 RU11, Exchange 2013 CU10, Exchange 2016, Exchange Exposed podcast, Exchange Online, Exchange Unwashed Blog, IT/DEV Connections, Jeffrey Snover, Office 2016, Office 365, Office 365 APIs, Office 365 Groups, PowerShell, SharePoint Online, SLA. Bookmark the permalink. Tony, please consider writing a blog piece on how office 365 mailboxes access on-premises public folders. These seems to be very little documentation on how this is voodoo works, just one paper on how to send it up and than Hope!